This is it! The wait is almost over to find out who will win the game-day showdown! 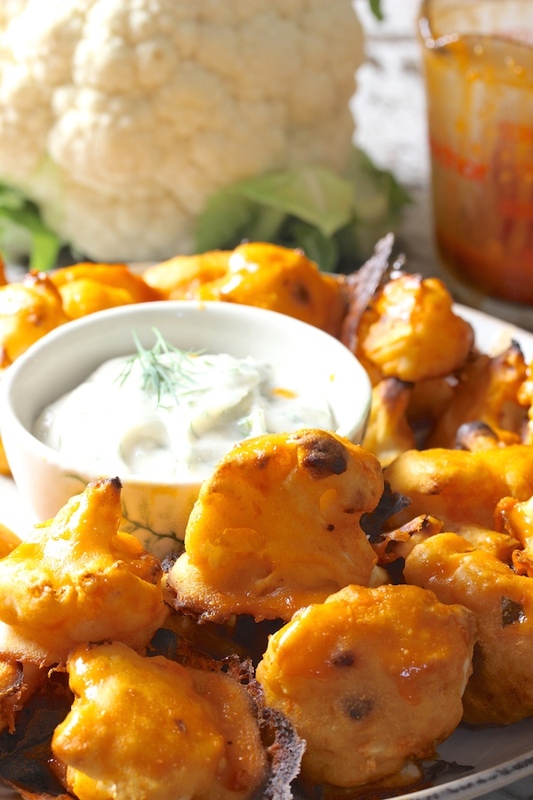 Will it be Buffalo cauliflower “wings” or creamy tofu vegetable spread? Also, but less interesting, which team will win the game? In any case, whether you are hosting a party or bringing a dish along to a friend’s house, without snacks, the big game would be…well…just a big game. You might be able to tell I don’t like basketball anyway. If you’re like me, you’re in it for the snacks. Oh, I pretend to watch the game until the party food is gone, then I sneak off to another room and watch cooking shows. If I hear things getting exciting in the party room, I’ll go see what’s going on just to feel a part of things. What I do enjoy is poking around and shopping at Weaver’s Farm Market looking for healthy recipe ideas. There’s no sense putting the holiday weight back on so soon after New Year’s, and that’s why I aim to keep snacks on the healthy side. Here are two vegan recipe ideas, the first of which makes good use of market cauliflower and any of the market’s many hot sauces, whichever one strikes your fancy. (I used Hanks Sauce, the “Hanks Heat” flavor, for this recipe.) The second recipe uses a pre-mixed spice packet from Dip_n_Dill, also sold at Weaver’s Farm Market. Instructions say to mix the packet with mayonnaise and sour cream. My recipe makes it vegan by using tofu and intensifies the flavors by adding fresh herbs, but the fresh ingredients are optional. Easy and delicious! Preheat oven to 450 degrees. 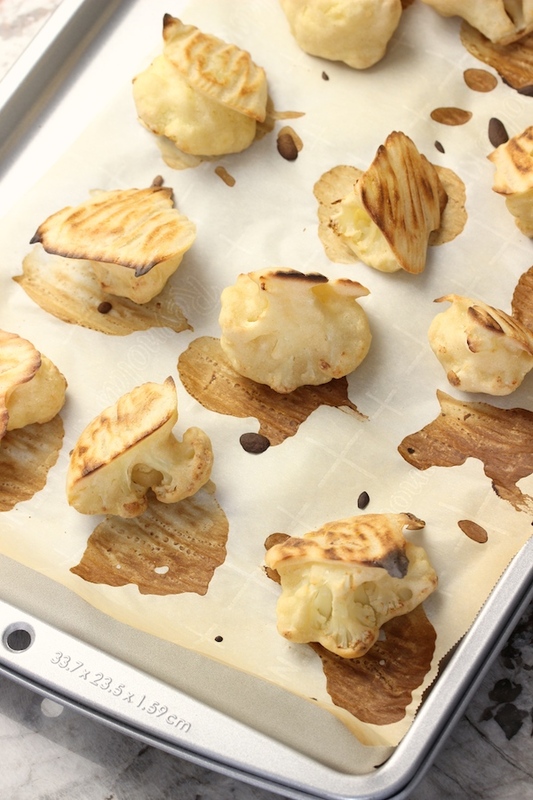 Line a baking sheet (or two) with parchment paper. In a large bowl, add water, flour, garlic powder, onion powder and salt. Whisk to combine, creating a batter. Add the cauliflower to the batter in the bowl and toss to combine. Remove the pieces of cauliflower, one by one, shaking off excess batter. Place on the lined baking sheet making sure florets are not touching each other. You may need two prepared baking sheets. Bake for 15 minutes. Flip them over and bake for 7-10 minutes more until golden brown. While the cauliflower is baking, prepare the hot sauce/vegan margarine mixture. Melt the margarine in a saucepan on the stove over medium heat. Once melted, add the hot sauce and stir. Set aside. Brush the hot sauce/vegan margarine mixture on each cauliflower wing using a silicone brush or pastry brush, or toss the florets with the sauce in a large bowl, then return the coated cauliflower to the baking sheets. 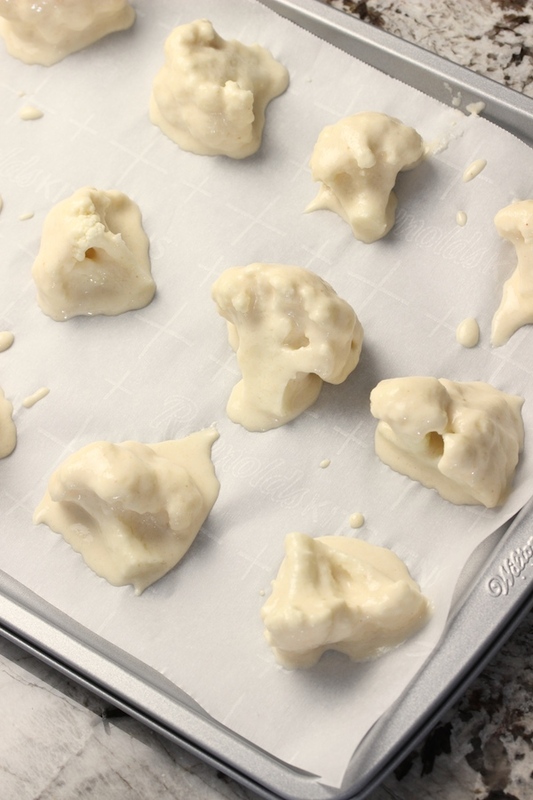 Place the baking sheets back into the oven for 7-10 minutes. Watch for over-browning. Remove. Serve with any vegan mayonnaise of your choice along with carrots and celery if desired. While the cauliflower is baking, prepare the hot sauce/vegan margarine mixture. Melt the margarine in a saucepan on the stove over medium heat. Once melted, add the hot sauce and stir. Set aside. Brush the hot sauce/vegan margarine mixture on each cauliflower wing using a silicone brush or pastry brush, or toss the florets with the sauce in a large bowl, then return the coated cauliflower to the baking sheets. Place the baking sheets back into the oven for 7-10 minutes. Watch for over-browning. Remove. 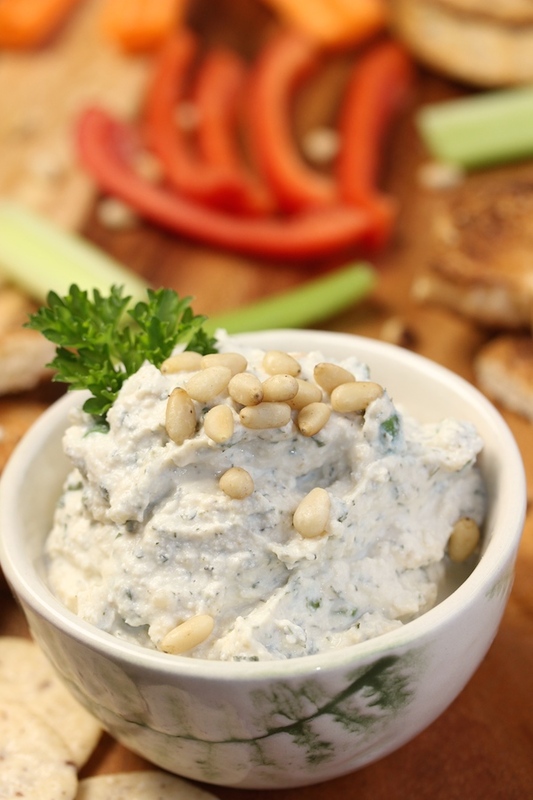 Serve with any vegan mayonnaise of your choice along with carrots and celery if desired. 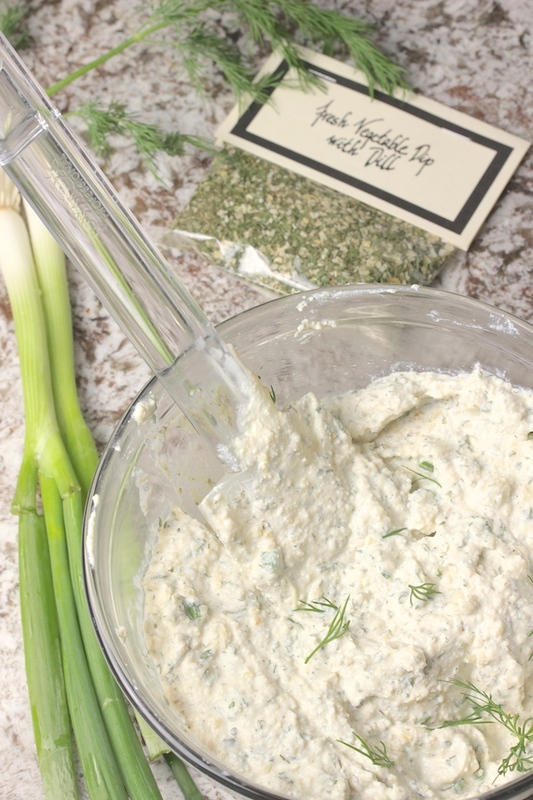 The next recipe is for a vegetable spread and it just occurred to me that this may be used as a cool dip to accompany the cauliflower buffalo bites. However, that’s not what I intended. This spread is chunkier than say, a ranch dressing, and may not be ideal for dunking cauliflower bites, although spooning a little on top might work. Instead, I intended this as a stand-alone recipe for dipping any desired raw vegetables or to spread upon crackers or toasted bread. Part of the fun is you get to be the judge! Add the tofu, lemon juice, vinegar, garlic and coconut oil to a blender and blend until creamy and smooth. Stir in the spice mix packet. Add salt to taste, and stir in any desired extras, such as scallions, pine nuts or fresh herbs. Serve with toasts, crackers or cut, raw vegetables. 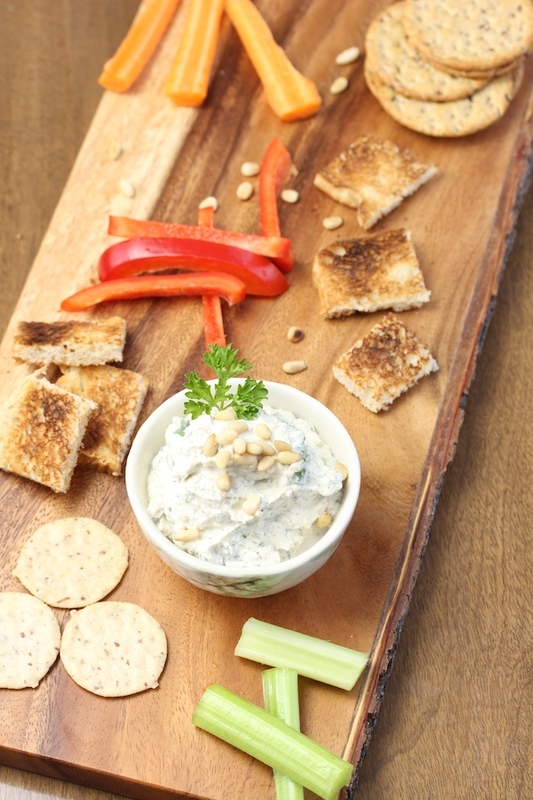 This dip also makes a great sandwich spread!